Heights Office Furniture "We specialize in protecting your investment through Quality and Service"
We have a dealer network servicing the entire US. We will connect you to your local dealer. Request a Quote to Find One of Our Nationwide Dealers Nearest You! High density mobile filing, storage and shelving systems can store up to five times more files in the same space as vertical and lateral files or any conventional filing system. High density filing systems can also dramatically improve your fileroom and office efficiency. Our local dealers are ready to provide free, no-obligation quotations, drawings and consultation. Heights Office Furniture and nationwide dealer netword offer a full line of products and services to maximize your office & filing environment. As a leading provider of high density mobile storage systems, rotary storage systems and Tennsco Shelving, as well as related filing and storage products and accessories, Heights Office Furniture offers the many brands available in America. We are committed to meeting customer needs by providing equipment solutions that maximize their utilization of available storage space. High Density Mobile Filing Systems allow you to file five (5) times more files in the same space to maximize your storage capacity. High Density Mobile Filing is the maximum use of your file rooms capacity. High Density Mobile Filing Systems include mechanical and electrical systems specially configured for your space. We specialize in difficult and large projects. 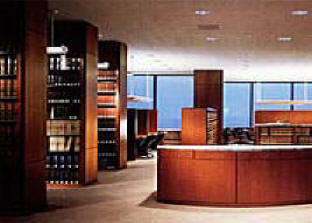 GSA specialists in all areas of file room applications. All of our products are on the Federal GSA Schedule with thousands of dealers nationwide to install your products. Offering State and Federal GSA Pricing. Connect with your local dealer for pricing. Are you looking for Rotary Files, Mobile Filing Systems, Weapons Storage, Evidence Storage or just plain storage of stuff. Our dealers create a custom application for whatever your storage needs are. Installations are done with little or no disruption to your operations and we follow up with full support, including effective training on the new equipment for you and your staff. 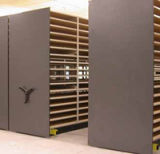 Utilizing rotary filing systems, open shelf filing and high density mobile shelving systems, we offer you the latest in efficient filing applications. 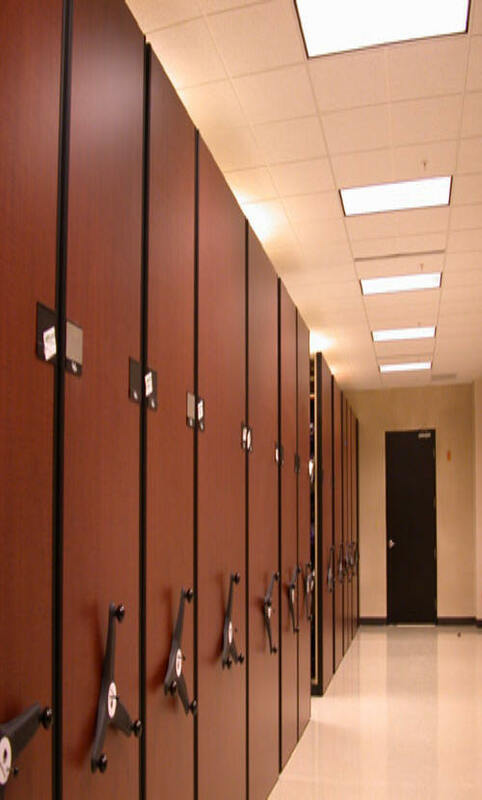 Our storage systems have helped numerous businesses like yours maximize existing space, while providing essential security for the items being stored. We have HIPAA Compliant filing applications to keep your business up to code. 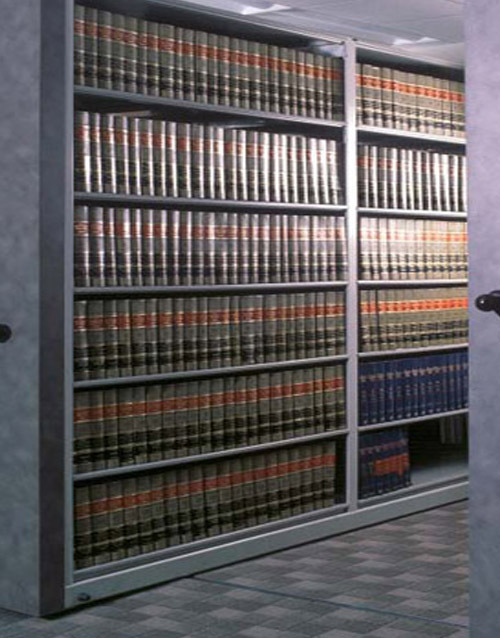 We have open shelf filing that can be locked with many applications of doors or you can lock down your documents in one of our high density mobile filing systems or rotary file applications. There are thousands of applications for our products. 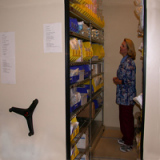 Our high density systems are completely customizable to any storage needs that you may have. Some include videos, cd-roms, dvds, microfilm, diskettes, binders, books, computers, weapons storage, museum archive storage, supplies, flat files, all banking documents, legal or medical documents or exhibits, pharmaceuticals, sporting equipment, records, magazines, personal effects, and any type of inventory. 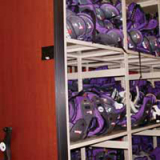 If you have an item you need to store more efficiently call us and let us show you how. High density mobile filing applications come in very large or very small systems. We can help you store a million files in an acre of file room space or simply store files at your desk side for ready reference. In decreasing storage space requirements, the real job begins with the process of organization. Our local dealers are specially trained in maximizing your floor space to accommodate the growth of your storage requirements. More often this means storage of multiple media in the same system. Our dealers are high density filing experts. 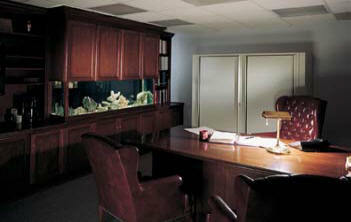 Heights Office Furniture and nationwide group of dealers are the industry leader in sales and performance. From blue print drawing, to the final touches on a new office space, a brand new filing system is essential to keeping businesses organized. A filing system should meet your needs based on what you will be storing. This Web site is a resource for customers needing solutions for their filing needs. Browse around from section to section, if you have questions feel free to call or e-mail us. Should you wish to request specific or custom dimensions as well as pricing please fill out our Request a Quote to Find One of Our Nationwide Dealers Nearest You!. 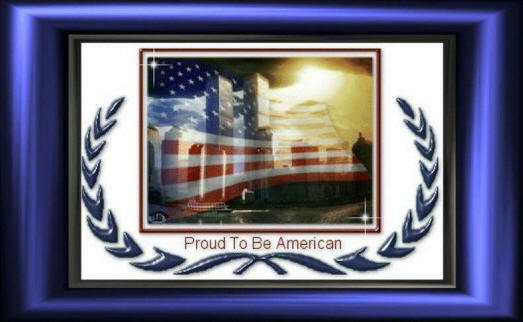 This section of our Website is dedicated to Local Current Events by professionals who strive for the same level of integrity and success we seek to exemplify. Thank You Devon and Suzanne Smith for all your business. Thank You El Paso Energy and Jeminez Contractor's Cheryl Luck for all your business. Thank You Dynegy Inc. and Jennifer Rodriguez for your continued business. Thank You, Kathy van't Hoff & Allison for your continued business. Yes, those Aurora Time's 2 rotary files are gorgeous. Thanks again! Call us today at 800-822-4127 or Request a Quote to Find One of Our Nationwide Dealers Nearest You!